In this episode, we find Tom searching for food from a dumpster, when he happens to smell hot dogs coming from a hot dog truck. When he tries to eat the hot dog, Spike snatches it from him and gives him money for his trouble. Tom sees Jerry making money, making music giving him the idea to steal Jerry's attention. To which the duo begin to compete. On "Egg Beats", Jerry being annoyed with the city noise moves out to the suburbs on Tom's farm and plays his music to the displeasure of many of the farm animals. The only one that appreciates it is a chicken who constantly lays eggs to the beat, which annoys Tom. Hilarity ensues. On Cry Uncle, Jerry is visited by his Uncle Pacos, who tells him that his wife kicked him out. He annoys Tom and Jerry constantly playing his offbeat tunes on his guitar to the point where the duo tries to find a way to get rid of him. 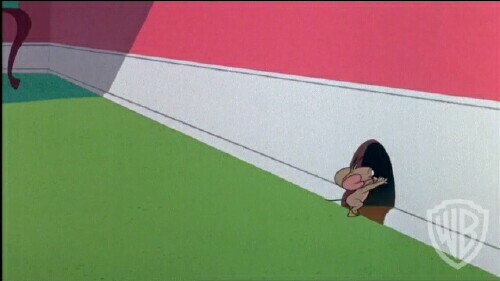 In "Ho Ho Horrors", Tom and Jerry are sleeping and dreaming about chasing each other. Tom's dreams annoy Jerry so Jerry helps himself by beating Tom in his dreams. "Doggone Hill Dog" Tom and Jerry decide to team-up when there chase on the snow is disrupted by Spike the dog, who wants to be the big dog on the slopes. Funniest bit is when Spike actually eats an icicle spike. "Northern Light Fishlight" has Tom doing some ice fishing, but having no success. However Jerry happens to find catching fish rather easy. 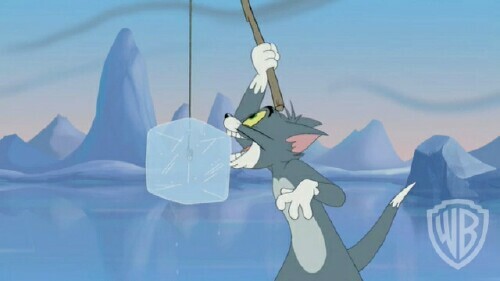 Tom becomes enraged and soon wants both Jerry and the fish for his dinner. Cat Nebula sees Tom as a space alien trying to infiltrate Jerry's spaceship. Nibbles and Droopy make an appearance as Jerry's crew members. Martian Mice has Tom pretending to be a chicken so he can eat some chicken eggs, only ends up being beamed into space where he's forced to lay eggs for alien mice to impress a princess and a queen. Spaced Out Cat has Tom trying to impress Nibbles Galore. The only problem is that Spike gets to her first. So, Tom ups the ante by entering a contest, to build a rocketship, on a race to the moon to win money to impress Nibbles. In "Dino O Sores" Tom and Jerry are stranded on an island. They are looking for food when they happen upon a dinosaur egg that hatches and thinks Tom is it's mother. Much to the displeasure of Jerry, the baby dino does whatever Tom wants and now Jerry must search for a dino of his own to get back at Tom. Freaky Tiki the boys are on vacation, still chasing one another, they happen to hit a haunted totem pole and must now try and escape the wrath it brings. Prehisterics has Tom and Jerry are in prehistoric times where they must survive the ice age, other predators and each other. This remake of the classic cartoon from the early 20th century is actually pretty good despite the rules implemented by the powers that be. I actually found myself reliving my love for this cartoon. They brought back characters such as Butch, Droopy, and Spike. I wish Droopy had his own little short segment with his smart antics. This reincarnation however will do just fine with me. I found this cartoon from time to time to be a little too friendly for me. After almost every episode, I felt like Tom and Jerry were going to hug and make up. Why couldn't Tom or Jerry get the better of each other for once and at the end of the segment the audience get a nice laugh out of it? I felt a lovey-dovey vibe a little too much for my liking!! 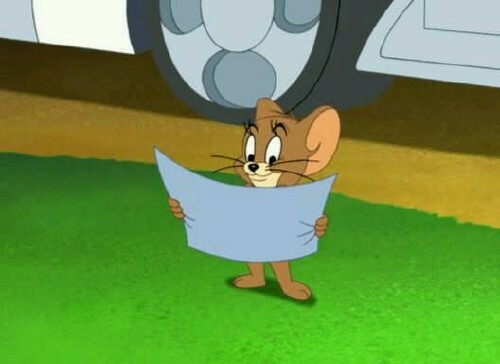 Hands down, Tom and Jerry Tales is the best reincarnation of Tom and Jerry that I have seen in recent years. This is probably the best I am going to get so I might as well savor the moment. 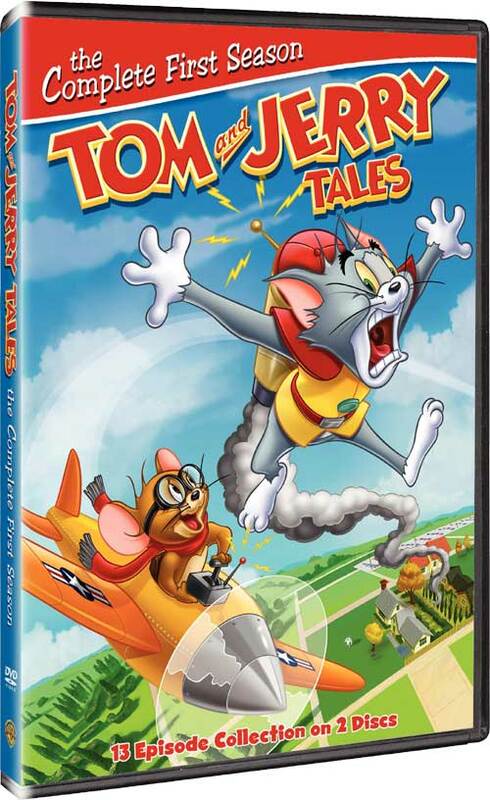 And out of TOV 5 stars I give Tom and Jerry Tales Season 1, 4 stars.